Concept for Life is a unique nutritional concept based on scientific knowledge and putting your cats nutritional and individual needs at the heart of its food. See below for the best deal on 3kg Concept for Life Dry Food + 24 x 85g Wet Food in Gravy. 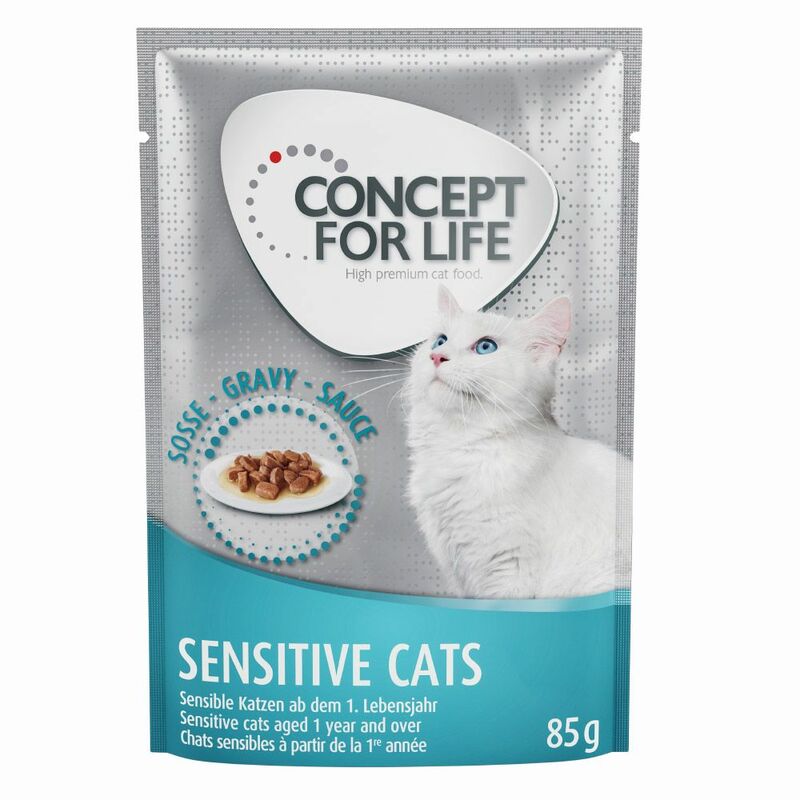 Big Savings on 3kg Concept for Life Dry Food + 24 x 85g Wet Food in Gravy! Concept for Life is a unique nutritional concept based on scientific knowledge and putting your cats..
Concept for Life provides your pet with the right nutrition for each life stage. This species-approp.. The Best Deals online for 3kg Concept for Life Dry Food + 24 x 85g Wet Food in Gravy and your essential Pet Supply Products. Order over £29 and get FREE DELIVERY on all orders today. Most orders are processed and dispatched within 24 hours from this supplier (zooplus) and their delivery service partners provide online parcel tracking facilities, active from 2-3 days after dispatch of your 3kg Concept for Life Dry Food + 24 x 85g Wet Food in Gravy order. The suplier 'zooplus' offers International shipping to the countries listed in the table below for shipping on 3kg Concept for Life Dry Food + 24 x 85g Wet Food in Gravy. 3kg Concept for Life Dry Food + 24 x 85g Wet Food in Gravy requires a £2.99 Delivery Fee from the supplier for deliveries within Great Britain. Orders over £29 qualify for Free Delivery. This can be checked using shipping calculator to your post code on the suppliers web site when purchasing.